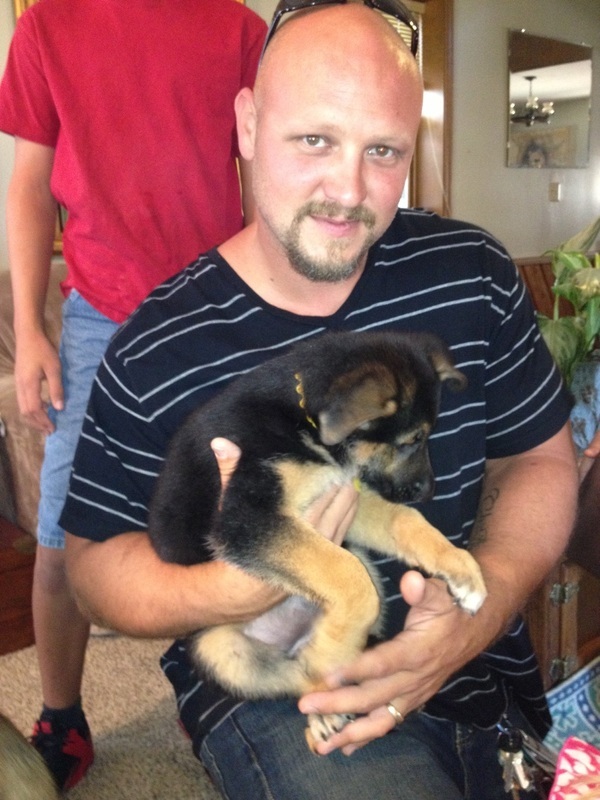 We have donated our first pup to a wounded warrior and he has inspired us to do more. We are seeking donations to grow this cause and hopefully donate and provide Service Dogs to many more wounded warriors in the future as well as veterinary care, obedience training, service dog registry fees, and service training. 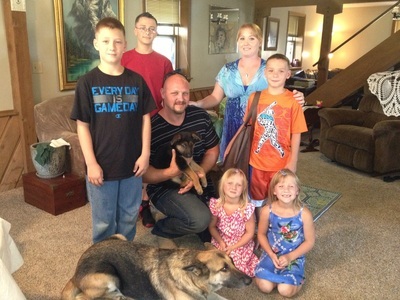 We have donated a dog to this wonderful veteran, Justin H., Petty Officer 3rd Class and his beautiful family to help him with some of his needs caused by disabilities that he sustained while serving our country. If you would like to donate, time, money, expertise, or point us in the right direction for services, we would be grateful. Our hope, is not only to provide this puppy, but also a package that will assist this family in the future. Thank you to Justin and all of our armed forces and their families for sacrificing for all of us every day to keep us safe. We will continue to try to offer pups to veterans in the future and hope to raise some money to begin a program to continue to help our wounded warriors who need service dogs. Cunningham Shepherds for Wounded Warriors.